This week, NC Family president John Rustin talks with Les Bernal, executive director of the Stop Predatory Gambling Foundation, about daily fantasy sports gambling and why it should be banned. 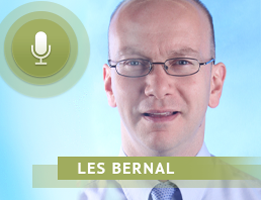 Introduction: Les Bernal is Executive Director of the Stop Predatory Gambling Foundation. He speaks and writes extensively about failed government policies that rely on predatory gambling. He has appeared on national television and radio, including 60 Minutes, CNN, Fox News Channel, and National Public Radio. He has also spoken before dozes of college audiences and faith groups across the nation. JOHN RUSTIIN: Les, many of our listeners have probably heard of fantasy football, baseball or other similar fantasy sports leagues, but may not be as familiar with daily fantasy sports. Explain if you would the differences between season long fantasy sports games, which some of our listeners may have participated in, and the daily fantasy sports that we have seen increase so rapidly in recent months? LES BERNAL: Season-long fantasy sports started as a hobby. It was a form of community, and it was a social activity—the trophy mattered more than the money. Today, what you see with the introduction of these so-called daily fantasy sports operators is that fantasy sports has become a fleecing operation, and it clearly incorporates the three major aspects of gambling, which is: consideration, chance, and prize. Consideration is when you put up something of value, money, and so there’s no debate whether or not this is gambling. The national casino operators like MGM’s CEO openly [has openly said], “I run a casino, and there’s no question this is gambling.” Many of the people that founded these daily fantasy sports companies came over from the online poker and Internet gambling world after it was shut down in 2011. So, they just saw a chance to find a loophole in the federal law, and tried to bring in another form of extreme gambling, and cloak it in something else by calling it fantasy sports, and making it sound innocuous, and advertising it on television, and you have kids playing this stuff now. It’s been a huge public rip-off, and you’re starting to see significant public leaders, like the New York Attorney General has just put an injunction to shut down the Fanduel and Draftkings, which are the two biggest [Daily Fantasy Sports] players. It’s something that on the surface people may say, “How does this impact me?” It impacts you in a major way because it’s encouraging a major gambling ethic in our families and in our communities, where people are being cheated and exploited, especially kids because they’re very susceptible to this stuff. JOHN RUSTIN: I think it seems to be one of these things that has become so insidious because there was an existing interest in these fantasy leagues where people may build a team at the beginning of the league and do a kind of drafting of the players to make up their teams and follow their teams throughout the season. But this is full-blown gambling because it really is something that happens on a rapid-fire basis, and it involves the components that you talk about that really are the classic definition of commercial gambling, where the elements of chance far outweigh the potential elements of skill. Would you consider that to be [accurate]? LES BERNAL: Oh, without question, and they know it. The reason why they talk about this in such a dishonest way is because the business itself is dishonest, right? When a practice is dishonest, the people who promote it and sponsor it talk about it dishonestly. We see that with state lotteries, and now we see that with this new form of gambling, framing it as fantasy sports gambling, but it’s really a form of Internet gambling. Listeners need to understand that this is just really a bridge, you know, this whole push for so-called daily fantasy sports. They want to bring in Internet gambling into every dorm room, every bedroom, and every community in the country, and they’re going to do it through the backdoor because they can’t get Internet gambling legalized through Congress. And so what they’re trying to do is bring in Internet gambling without calling it Internet gambling. The real money in this business is not in this daily fantasy sports stuff; it’s getting people to bet on more extreme forms of gambling, and they want to do that through the Internet. So that’s what your listeners need to realize—that it’s not a debate about fantasy sports, but it’s a debate about Internet gambling. JOHN RUSTIN: It’s kind of the proverbial camel’s nose under the tent. And you note in the report that there really is a huge profit margin behind daily fantasy sports gambling. Talk about that a little bit if you would. LES BERNAL: These daily online fantasy sports gambling operators don’t care who wins or loses. Where they make their money is that they get 10 to 15 percent of all the money wagered, so they have this huge sweepstakes pool, where they will say, “Oh you can win a million dollars, you’ve just got to put up your entry.” What they call entry fees, it’s really a wager. So you put in your wager, and what they get is 10-15 percent right off the top of all the money wagered. And so what you have is a business model, where you have roughly one percent of these players do this full-time, where they spend literally 12 to 14 hours a day crafting sophisticated algorisms and so forth to calculate the best players to select for their respective teams, and they buy hundreds of lineups in these games, so they really have stacked the odds in their favor. So, this one percent is winning all this money, and roughly 90 to 95 percent of these players are losing their money, and Draftkings and Fanduel, they couldn’t care less about that scenario. They only care about getting a cut of the total wager, and that’s what’s so dishonest about this, and that’s why in some states, state attorney generals are taking the action now to shut them down. JOHN RUSTIN: Let’s talk a little bit more about the groups behind daily fantasy sports gambling, and why it’s important to really understand it, because these are entities who have a history of really targeting vulnerable populations through legal and sometimes illegal gambling operations. LES BERNAL: What your listeners need to fully understand is these online fantasy sports gambling operators, they’re not the result of some citizens’ grassroots movement demanding Internet gambling on their smartphones and in their bedrooms. This is being driven by very powerful financial interests, particularly some of the big media companies in our country like Comcast, which owns NBC, Time Warner, and Google Capital, which is an investment arm of Google. These media companies are behind this, and they’re making money on the advertising. A lot of the operators for this—the people actually running these companies—came from the illegal online poker companies that were shut down in 2011 by the Department of Justice. So, this isn’t being driven by citizens demanding a chance to have online gambling in their homes. It’s a huge rip-off. And that’s why every citizen, whether you gamble or not, this impacts you, and we need to continue have our legislative leaders and our law enforcement take action to shut these scam artists down. JOHN RUSTIN: Why is there such great concern for the adolescent population? Why are they particularly vulnerable to the lure of this type of gambling? LES BERNAL: Kids are very unassuming so they don’t recognize when they’re being exploited, or when something is not on the up and up. So, you have kids that started playing these season long fantasy sports, thinking it was something with their family or their friends at school, where they pick their favorite players. And now they’re being marketed these online Internet gambling games in the form of daily fantasy sports, which is preying on a whole generation of kids that have grown up on video games, and it’s being marketed to them as, “You can just pick your favorite athletes.” So you combine some of this culture of where kids are addicted to video games, and very passionate about sports, and then just the excitement of winning money—and I don’t care what age you are, if you win something for free, it gets excitement, and it can also be addicting. And so these kids get really attracted to it. And the idea that we allow them to be broadcast on national television for the last eight weeks throughout the NFL season! I mean they’ve been broadcasting for the last year or so, but not with the kind of intensity that we’ve seen till the last eight weeks. It’s just appalling, and it’s unethical, and it’s time for thoughtful citizens out there who care about the direction of their state and their communities to call for a shutdown of these operators. JOHN RUSTIN: Does this activity currently violate federal law, and if so how? LES BERNAL: Yeah, there is no doubt that it violates Federal law, and that’s why I think we’re seeing the New York U.S. Attorney doing an investigation of this, and I think you’ll see him ultimately shut it down, at least in New York. And in other places, you’ll see some major reform that will come out of it, after his investigation is done, because there’s no debate whether or not it’s violating federal law. When the Internet gambling prohibition passed in 2006, they kept claiming that there was a carve-out for fantasy sports, but no one could have comprehended what we see today. What they’re calling fantasy sports is not what the folks did a carve-out for in 2006. It didn’t mean they allowed it, [but] it was just saying that fantasy sports will be exempt from the so-called Internet gambling ban. And that was when the so-called season-long games were what people had in mind back. But federal law is pretty clear on this both from the 2006 law, as well as the law back in 1992 prohibiting sports gambling, and it made clear that you are not allowed to wager on player performance. So, the reason why you haven’t seen other U.S. Attorneys jump in yet is because this is a brand new phenomenon. In New York, you see the U.S. Attorney take action, and in Florida, the U.S. Attorney is doing a Grand Jury investigation, so you’re starting to see Federal action now from various U.S. Attorneys. But there was very little comprehension of what this is all about because it really came out of no where, and it’s marketed as something that it’s not. JOHN RUSTIN: It’s certainly mushroomed into something over the last several months that was completely unexpected, but certainly not unplanned from the folks who are behind it… Now Les, as daily fantasy sports gambling becomes more popular, some have argued—and we’ve have seen this with sweepstakes gambling and other gambling activities here in North Carolina—that the answer is to regulate it and tax it, or to allow the government to sponsor it and derive revenue from it. Why is government regulation, or the legalization of online gambling—which it would inevitably do—why is that such a bad idea? 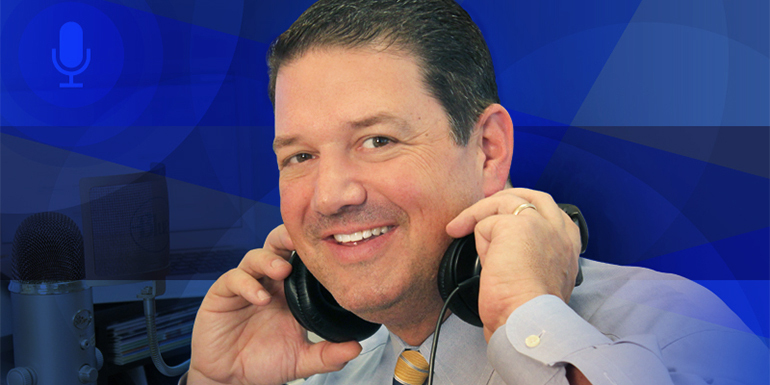 LES BERNAL: Your listeners in North Carolina are as well versed in so-called regulated gambling I think as any state in the country. You have a North Carolina lottery there, and you have a casino out there in Western North Carolina with the Cherokee Casino, which is operated by Caesars. You were promised all these things that government gambling was supposed to do, right? It was going to help fund education and do all these good things for the people of North Carolina. There hasn’t been a bigger public policy failure in North Carolina over the last 25 years, I respectfully suggest to you, than its experiment with state lotteries. It’s led to higher inequality of opportunity in North Carolina, as well as many other states, but you know this idea that it’s paying for education, it’s been a budget gimmick, where it hasn’t produced more money for education. And it’s extracted millions of dollars from average North Carolina citizens, putting them into deeper debt. And so some of your listeners may be saying, “You know, I don’t like the lottery, but it seems here to stay. I know it extracts wealth from the poor, but why should I really care?” For all your listeners who don’t play the lottery at all, good for them, but they should know that they pay, even if they don’t play. And by that I mean you’re paying for higher taxes in North Carolina for less services as a result of the North Carolina Lottery. The independent facts around government revenues from gambling are very clear that over the long-term, budget problems get worse as a result of government gambling. JOHN RUSTIN: Well no doubt about that. Les, unfortunately we are nearly out of time for this week, but I want to give you an opportunity to let our listeners know where they can go to get a copy of this new report on the harms of daily fantasy sports betting, again entitled “Use Promo Code INEQUALITY?” Tell us where they can get that? LES BERNAL: Sure, at our website www.stoppredatorygambling.org. JOHN RUSTIN: Great, well again that website is www.stoppredatorygambling.org. And with that, Les Bernal, I want to thank you so much for being with us on Family Policy Matters, and for the good work you are doing at Stop Predatory Gambling. We appreciate the partnership to work with you on these issues. LES BERNAL: Thank you, and thanks for the work you guys do. We really appreciate it.